1. 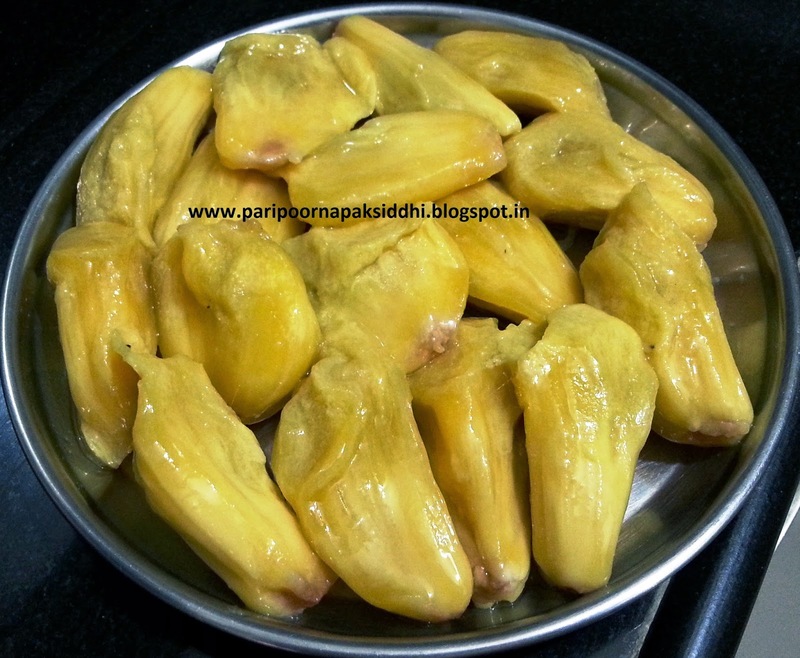 Use the fanas / jackfruit only of the barka variety. This jackfruit flesh is soft and mushy. It also has a very strong flavour and fragrance. The other variety kapa flesh is firm which does not puree easily. So avoid that. 2. Remove out the seeds from the flesh and reserve them, do not throw out the seeds. The seeds also have a membrane covering it which is attached to the flesh like an umbilical cord. Remove that and discard the membrane. Now puree the flesh. 3. 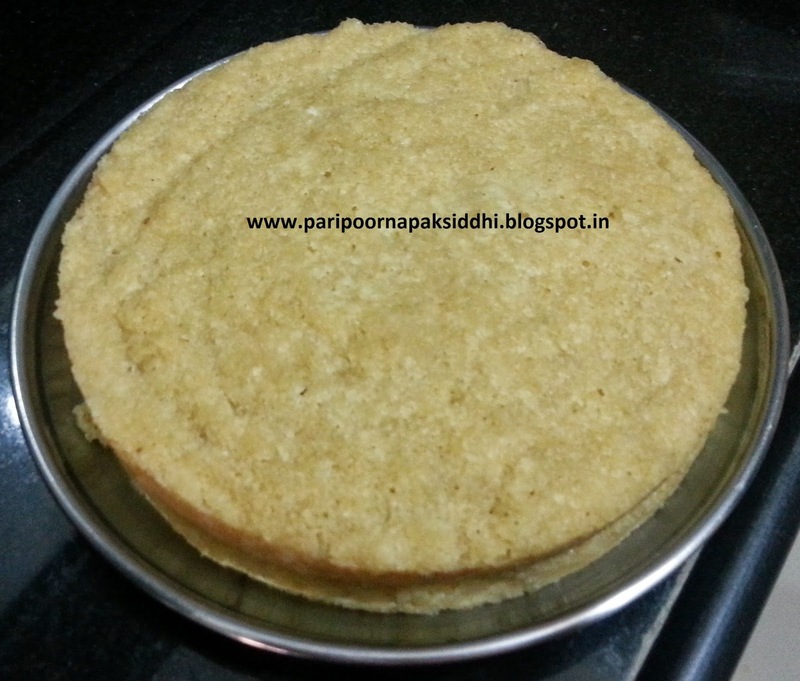 Dry roast the coarse rice flour till it changes colour and it becomes easy to move around in the pan. 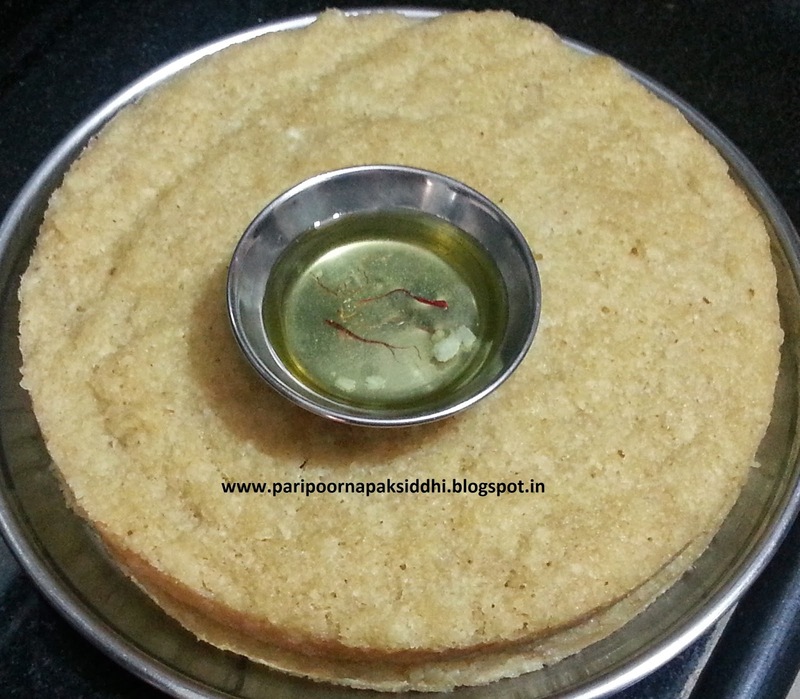 Dissolve the jaggery in the water. 4. Mix together well all the ingredients except the soda / eno and the accompaniment ingredients. Make sure you use little less water than the given quantity. Check the consistency. It should be of pouring consistency but not runny. Keep it covered and allow to stand for approx. 30 min. 5. 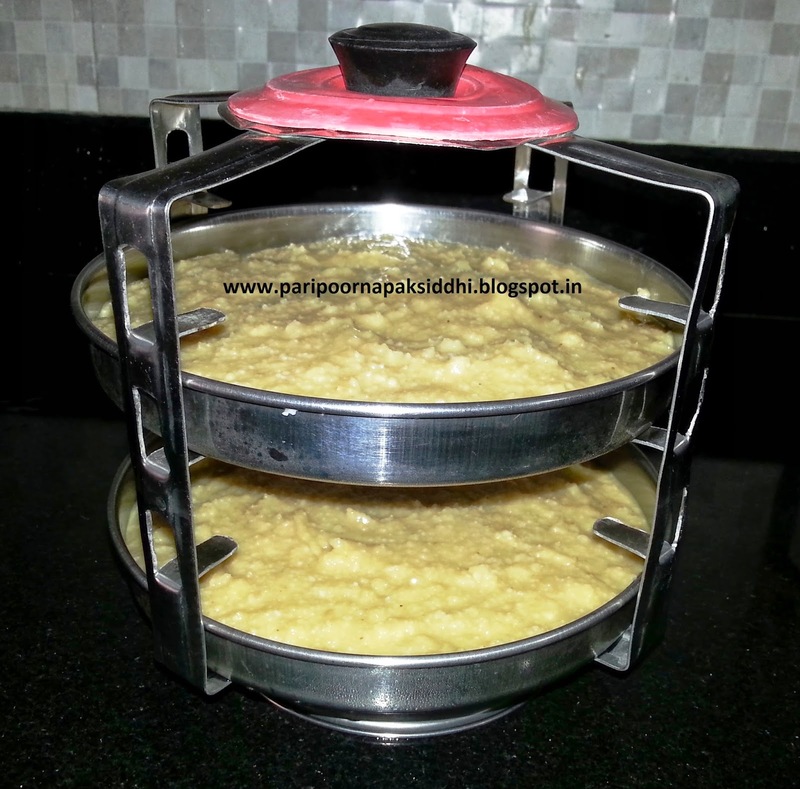 Apply oil or ghee on a plate or use a dhokla stand if you have. 6. Dissolve the soda / eno in a very little water and put it in the batter. 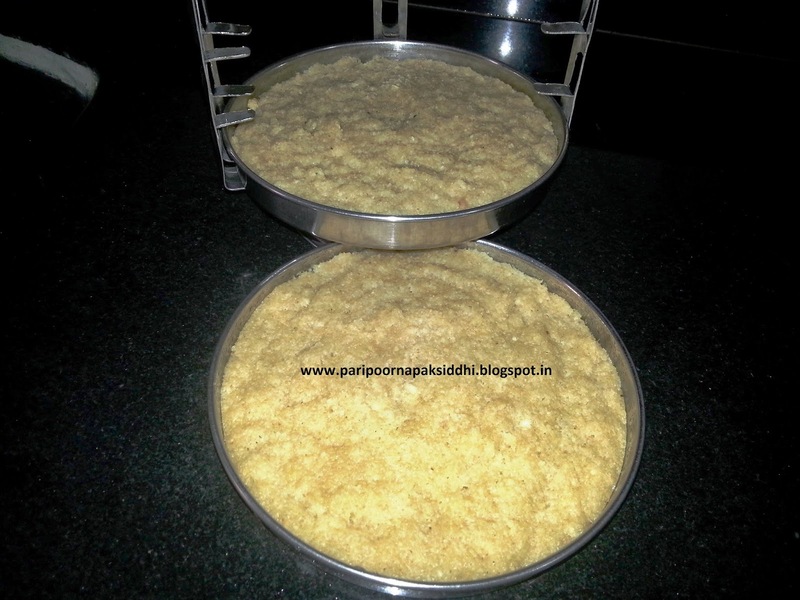 Mix well and immediately pour ladlefuls of the batter in the plates. Make sure the plate is only half full, leave the other half for the sandan to rise a little. 7. Steam them in a steamer for for 15 – 20 min till cooked and a knife comes out clean when poked in the centre of the sandan. 8. Remove from the steamer and invert the plate and allow it to cool. 9. Make sure you pass a knife around the plate so that the sandan will be loose from the sides. 10. Now invert the plate and try to remove them intact and whole. 11. 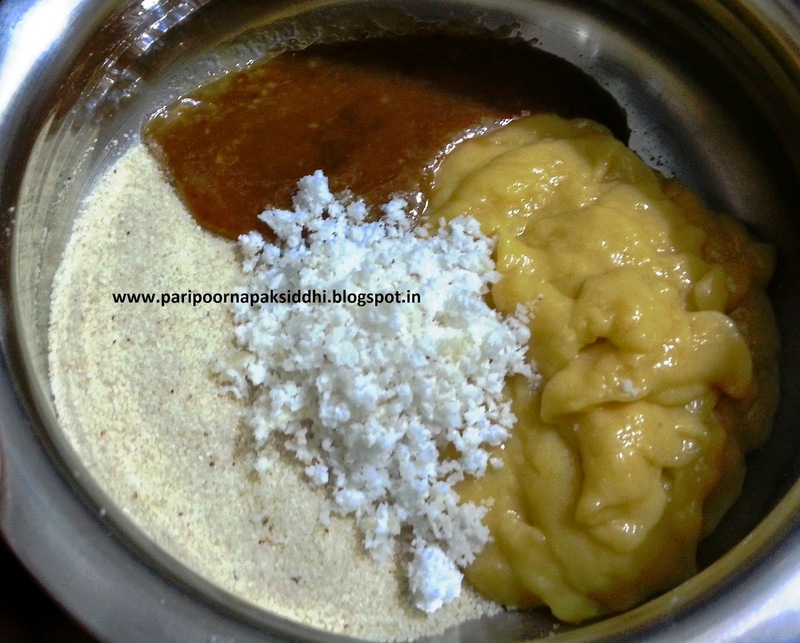 Dissolve the jaggery in the coconut milk. 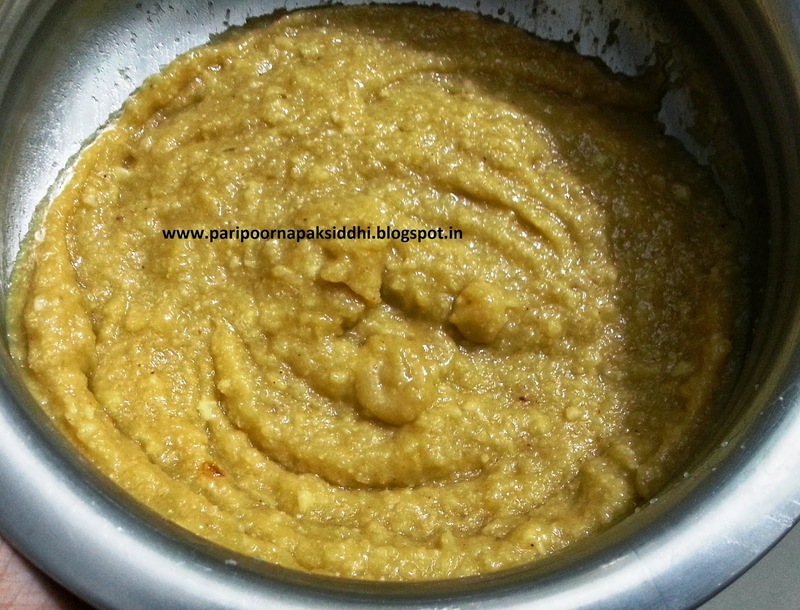 Pour melted ghee on the sandan and serve them with sweetened coconut milk.